1. 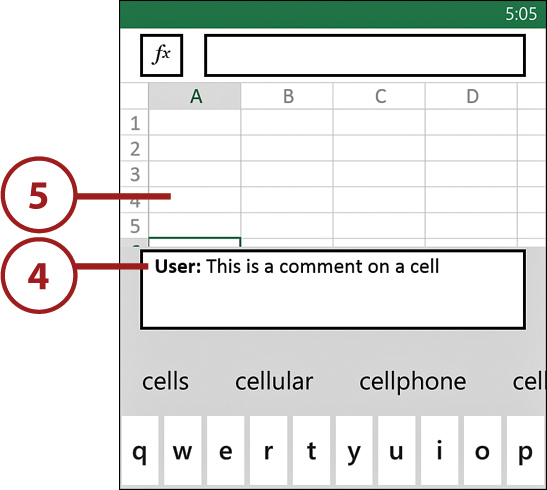 Tap the cell on which you want to comment. 5. 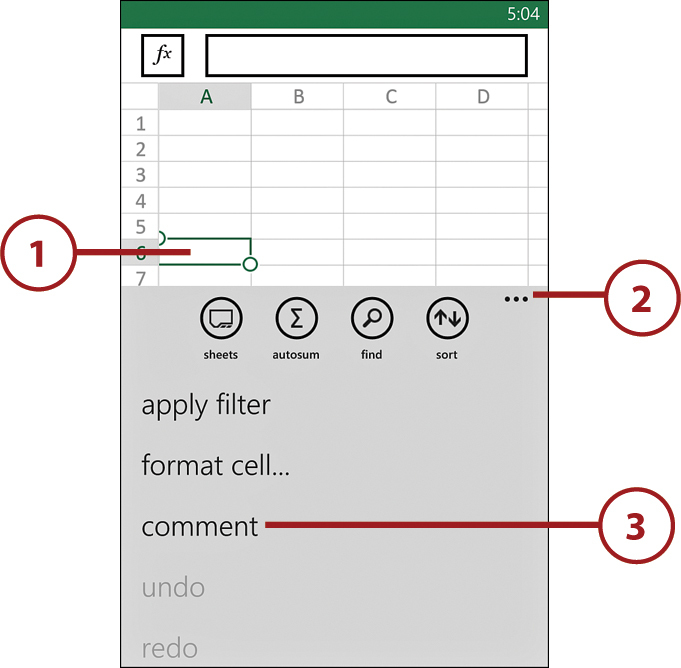 Tap another cell to complete the process. In the comment in this example, notice the label User attached to it. 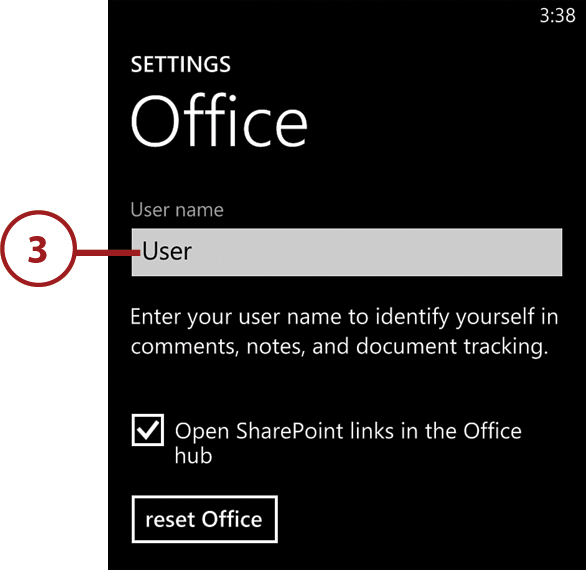 The first time you attempt to add a comment to an Office document, you are prompted to enter your name. The name you enter is displayed along with any comments you make. Be careful to enter an appropriate name—the name you enter is semipermanent. If you do need to change this name at some point, you can either type over the name in any comments you make or use the Microsoft Office Settings page to modify the name so that new name is used in all future comments. 1. 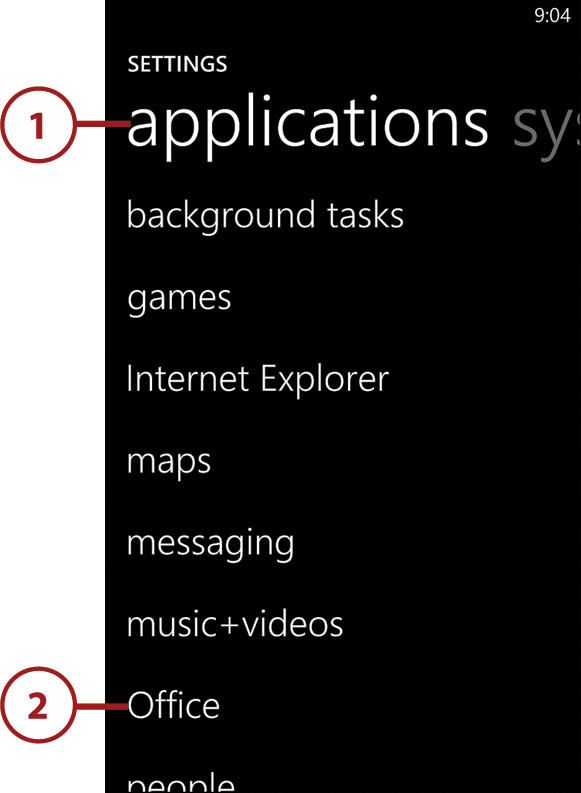 Flick the screen to the right to access the Application settings page. 3. Enter a new name into the User Name field.